What if we knew too much? 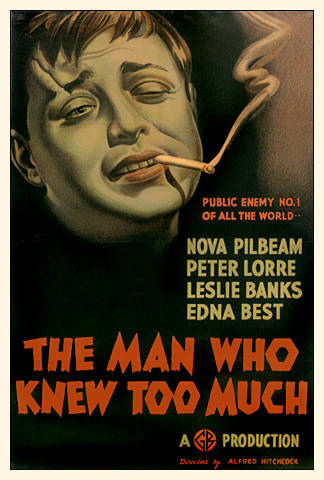 G.K. Chesterton had a series of novels titled The Man Who Knew Too Much. The protagonist in the stories knew more about the case than the rest of the public, which was unaware of the real facts behind the story, but it did not make him happier or more powerful. Sometimes, luckily not always, reading the day-to-day news make me feel like I am living the story. Not as the Person Who Knew Too Much but as someone who guesses that is being cheated with something not completely said. For example, one reads a story in a central media source and think what a good coverage of the event. Perfect language, perfect analysis. Let me read it second time. The second time reading, if he is not too slow will cause a reaction: wait, why would this even happen having the facts given here? Something must be missing in this story. Then he goes to Google, and digs a bit more about the information. If the story is about business, the competitors view will answer his questions. Politics? He just needs to find a domain outside own country instead of relying on the opposition media. The bad thing is that he usually does not want to know too much.